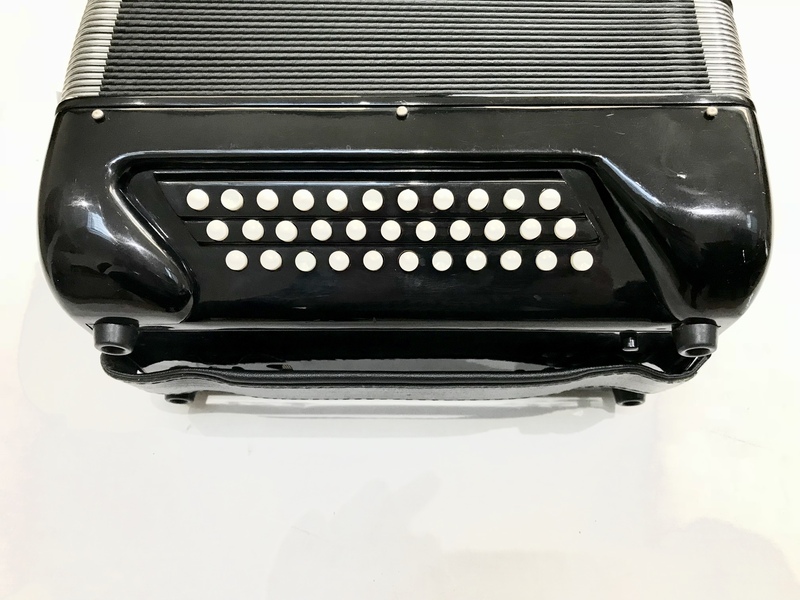 A pre-owned Giulietti Bassetti 1 Free Bass 33 Bass Accordion. 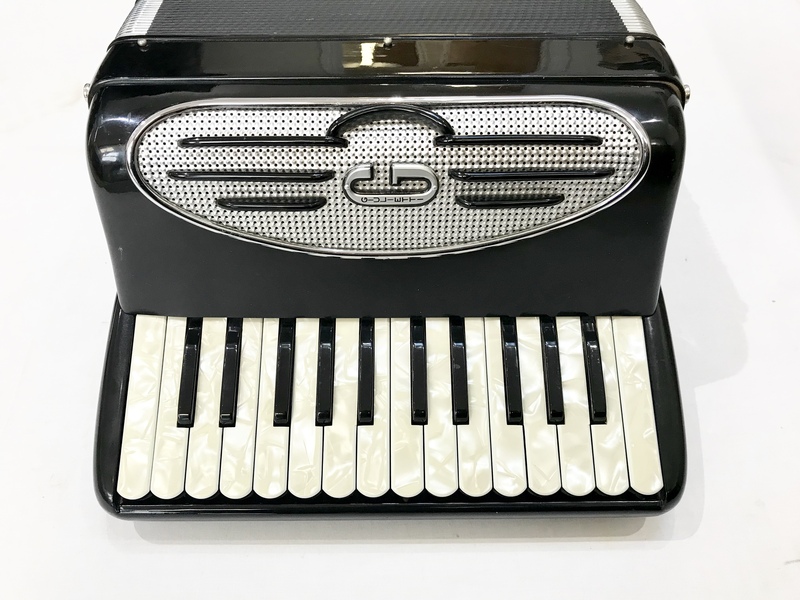 This ultra compact and lightweight little accordion features a 33 button free bass system on the bass side, and 26 treble keys on the right hand side. 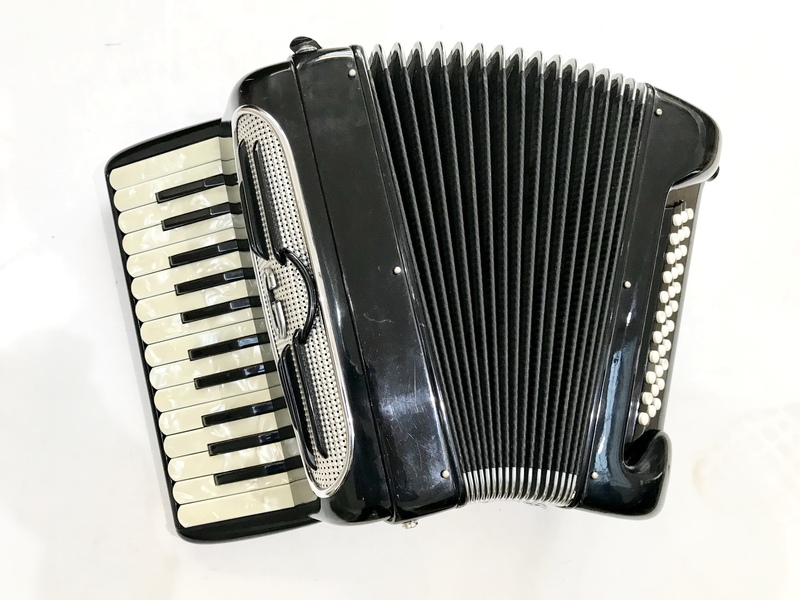 With a one voice tuning in both the treble and bass, this is an extremely lightweight little instrument, and would ideal for young children to begin learning to play on, or as a second accordion for players who may need to travel on planes with it etc. This particular example most likely dates from the late 1970’s or early 1980’s, and is presented in good all round general condition for its age. Finished in a very attractive high gloss black casework, which is complemented with pearl effect treble keys. 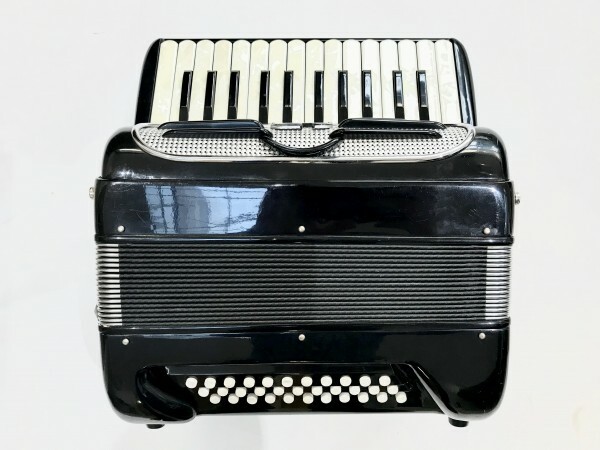 A 0% interest free loan is available on this Giulietti Bassetti 1 Freebass 33 Bass Accordion subject to status via the Arts Council. Terms and conditions apply, please contact us for full details. This Giulietti Bassetti 1 Freebass 33 Bass Accordion comes complete with your choice of either a soft gig bag or a hard case, padded shoulder straps and a three year component parts guarantee. Don’t forget, free delivery of this Giulietti Bassetti 1 Freebass 33 Bass Accordion to most parts of mainland UK is included in the price! Weight: 4.08 Kg. - 9.9 Lbs.